Dr Flammarion is the best doctor we have seen in years! She is really nice and professional and always gives lots of advice. 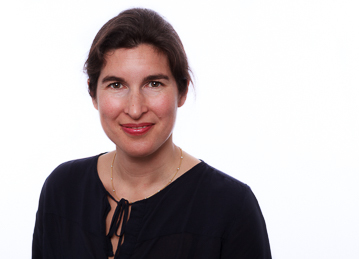 Dr Sophie Flammarion is a Consultant Paediatrician with special expertise in respiratory and allergy medicine. She is a core member of The Medical Chambers Kensington paediatric team. Sophie treats all types of medical problems in babies and young children. She is French and speaks fluent English. She moved to the UK in 2013 since when she has been practising paediatrics in London including at the world-famous Evelina London Children’s Healthcare Hospital, part of Guys and St Thomas’s NHS Foundation Trust. In October 2013, Sophie was appointed an Honorary Clinical Fellow in the Paediatric Allergy Department at Evelina, which is the 2nd largest provider of children’s services in London and has a holistic approach to diagnosis and management. In May 2014 she was appointed a Consultant at the hospital where she practices alongside several renowned paediatricians including Professor Gideon Lack, Dr Adam Fox and Dr George Du Toit. Sophie qualified at Paris V René Descartes University in 2001 and obtained a Doctorate of Medicine and Diploma of Specialisation in Paediatrics (DES) at University of Lille II in 2005. She then practised in the Paediatric Emergency Department and Paediatric Respiratory Outpatients Clinic at Lille Hospital. In 2006 she was appointed Chef de Clinique in The Paediatric Respiratory and Allergy Department at the Hospital. As a core member of the The Medical Chambers Kensington paediatric team, Sophie understands how worrying it can be for a parent when their child is unwell and so she makes herself available on her mobile and by email. She is fully conversant with French, English and American paediatric immunisation schedules and constantly update her paediatric skills by attending both French and British medical conferences. You can learn about what to do before bringing your child for an allergy test here and read Sophie's blog post here. It was a pleasure to be there. I have always been satisfied. Excellent experience and medical care. Nothing to add! It was our first time at the clinic. I was very happy with the doctor and overall service. Hopefully it will stay like this as we are going to continue to come to the clinic. Dr Sophie was excellent. She was kind and generous with her time and helped with solutions for my daughter. She even blew bubbles when my baby got a little disgruntled. Dr Flammarion was very kind and child-friendly, which helped put my children at ease. All was great so nothing to add. Many thanks. Dr Sophie Flammarion is a very listening and understanding person. She is also very reassuring person. Everything is excellent. Thank you very much indeed for Docteur Sophie Flammarion and the clinic team. You are amazing. We have been recommending your paediatricians to our fellow expats and would love more information on your other doctors and services. Please get me contact information for the first review/complaint. Very impressed that we got the appointment the same day. Thank you.